The vast majority of people love having photos that allow them to remember what happened on special occasions, the problem can arise when you haven't got a camera or a mobile with a camera at hand, but that is no longer so, thanks to Flash IT, because by installing it on your computer it will take the photos for you. 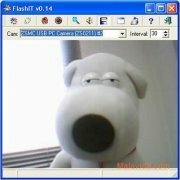 Flash IT receives the image from your webcam and takes the pics automatically every certain amount of time, with the possibility to decide how long it takes between one photo and the next, what's more, Flash IT compares the snaps to avoid taking two photos that are identical. 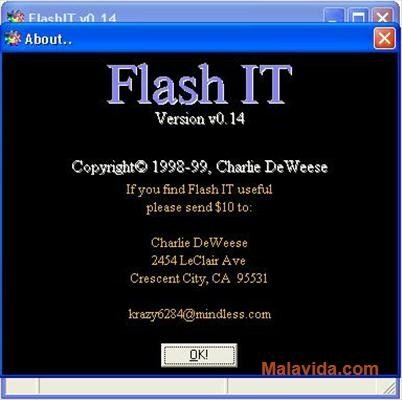 Something else that Flash IT can be used for is as a security camera, because if you activate it before leaving a room it will take a first photo of the room and then it will only take photographs in which there is a notable change, thus allowing us to detect if there were any trespassers. Therefore, if you want to have access to a program that will allow you to take photos with your webcam every certain period of time, download and install Flash IT, it's free.